Neither the men’s or women’s basketball teams were in a hospitable mood Thursday, as each squad stayed in the thick of their playoff races by defeating Cal State Monterey Bay. Led by Zhane Carter’s 20 points, the women’s team won its fifth straight contest, 70-48, to keep in the midst of the California College Athletic Association playoffs. With seven games remaining, the Toros (8-7 in conference; 12-9 overall) are tied for fifth. The top eight teams advance. The men’s team is currently tied for fourth with a conference record of 9-6 (11-9 overall) after Thursday’s 90-72 defeat of the Otters. Forward Mikey Hatfield led the way for the Toros, scoring a career-high 32 points. The senior shot a perfect 10-10 from the free throw line and made four of his five 3-point attempts. The Toros scored the first points of the game and never looked back as they led the entire game. The team went on a 10-point run to ice the game in the final minutes. Sophomore guard Colten Kresl notched a double-double with 14 points and a career-high 12 rebounds. Freshman guard Alex Garcia also reached double figures, scoring 16 points while adding four rebounds. 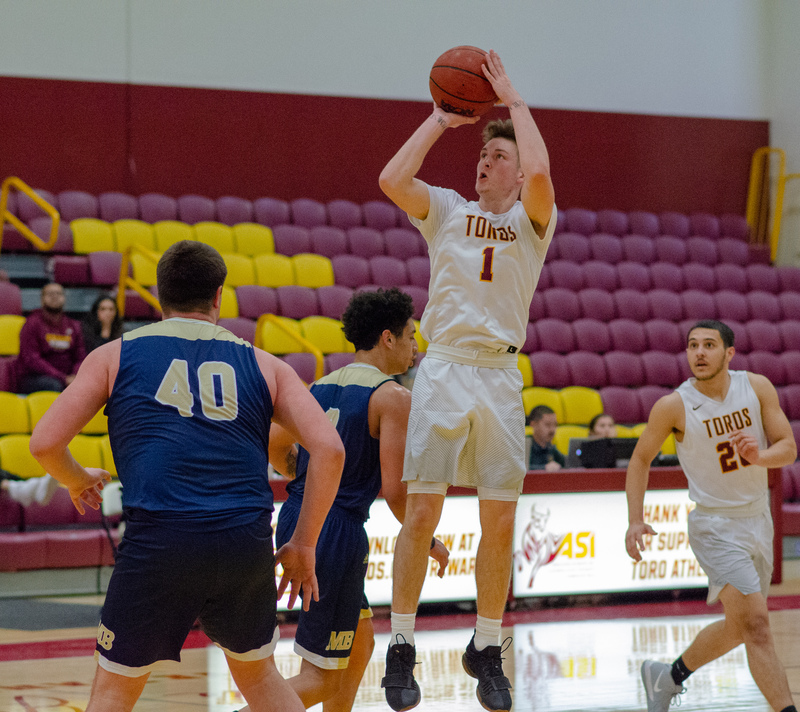 Head coach Steve Becker said he felt his team played great basketball, dishing out a total of 20 assists on the night while only committing eight turnovers. Up next: the Toros have a tough challenge on Saturday Feb. 9 as they take on the second-best team in the conference, the Cal State East Bay Pioneers (conf. 12-4, overall 17-5). The Toros lost their first matchup against the Pioneers earlier in the season by a score of 69-82. Tip-off for Saturday’s game is scheduled for 3 p.m. in the Torodome. The women’s game against Cal State Easy Baby begins at noon.